Does your companies brand reflect their business correctly? 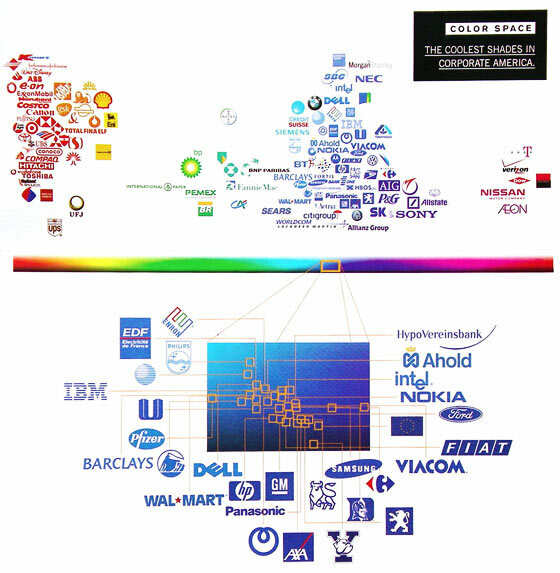 The most prominent brands in the world are defined by their colors. Think of McDonald’s golden arches, the name Jet Blue, and UPS’ slogan, “What can Brown do for you?” These companies, and many others, strategically use colors in their logo, website, and product to appeal to customers. As a marketer, it’s important to think about how you utilize colors and what the colors you choose say about your business. Research has found that different colors provoke very different reactions in people. Integrating your brand colors in your logo, landing pages, product, and more will help you achieve the highest impact. We put the rainbow under a microscope to find out how each color can help you connect with your consumers. We can help you select the right color for your brand. Picking the right colour can be difficult and requires time and planning. What colour represents your brand’s personality? What colour suits the characteristics of your product/service? What colour does your competitor(s) use? Though some may be better suited for some services/products than others. You should aim to pick a colour that will represent your brand’s personality best. One that will give your customers the right impression the first time they see it. You aren’t limited to one colour. Some brands like eBay choose to go with many colors to represent variety — but you can also choose a couple of colours that work well together. Consider differences in cultural interpretations of your color. For example in the Western world, white is considered the colour of purity and peace, however, in some parts of Asia white is the color of death. Make sure the color you select will give the right impressions in the markets you’re present in. Pick a colour opposite to that of your main competitor. The colour of your main competitor is probably the most important point to consider. If you’re the first in a new industry or market segment, then you have first picks. Choose the colour that represents your product and its personality. If you’re second, then that first choice may already be taken. Instead of picking the same or similar colour, pick the opposite. Pick blue if your competitor has red, pick purple if they have yellow, etc. A brand’s strength lies in its ability to stand out. Picking the same color to that of your key competitor makes you a me-too product. Instead, you want to separate yourself from the competitor, you want to show that you’re different. A good brand is like a person’s fingerprint, It is your way of showing your customers how your business is distinctive from the competition. Creating an image for your company that reflects your style and your goals in a way that appeals to your targeted customers. An attractive and well-designed brand can go a long way towards marketing success. Remember…first impressions count! Your brand comes to life with good design. Visual design gives presence to your business, helps it maintain market presence and continue to be relevant with the existing and new clients. Research reveals people make a subconscious judgment about a person, environment, or product within 90 seconds of initial viewing and that between 62% and 90% of that assessment is based on color alone. ‘Have you ever considered the importance of colour in branding? Coke is red. UPS is brown. IBM is blue. These corporations understand the proper use of colour is vital to creating a positive image among consumers. Furthermore, color plays a huge role in memory recall. It stimulates all the senses, instantly conveying a message like no other communication method. Choosing the right dominant colour for your brand is crucial. This colour should appear on all your promotional materials, including your logo and product packaging. As much as possible, the colour you choose should set you apart, work with your industry and image, and tie to your brand promise. It should also take into account color psychology, which is fairly complex. Colours can mean different things depending on the culture, situation and industry. Blue: Cool blue is perceived as trustworthy, dependable, fiscally responsible and secure. Strongly associated with the sky and sea, blue is serene and universally well-liked. Blue is an especially popular colour with financial institutions, as its message of stability inspires trust. Red: Red activates your pituitary gland, increasing your heart rate and causing you to breathe more rapidly. This visceral response makes red aggressive, energetic, provocative and attention-grabbing. Count on red to evoke a passionate response, albeit not always a favorable one. For example, red can represent danger or indebtedness. Green: In general, green connotes health, freshness and serenity. However, green’s meaning varies with its many shades. Deeper greens are associated with wealth or prestige, while light greens are calming. Yellow: In every society, yellow is associated with the sun. Thus, it communicates optimism, positivism, light and warmth. Certain shades seem to motivate and stimulate creative thought and energy. The eye sees bright yellows before any other color, making them great for point-of-purchase displays. Purple: Purple is a colour favored by creative types. With its blend of passionate red and tranquil blue, it evokes mystery, sophistication, spirituality and royalty. Lavender evokes nostalgia and sentimentality. Pink: Pink’s message varies by intensity. Hot pinks convey energy, youthfulness, fun and excitement and are recommended for less expensive or trendy products for women or girls. Dusty pinks appear sentimental. Lighter pinks are more romantic. Brown: This earthy color conveys simplicity, durability and stability. It can also elicit a negative response from consumers who relate to it as dirty. Certain shades of brown, like terracotta, can convey an upscale look. From a functional perspective, brown tends to hide dirt, making it a logical choice for some trucking and industrial companies. Black: Black is serious, bold, powerful and classic. It creates drama and connotes sophistication. Black works well for expensive products, but can also make a product look heavy. White: White connotes simplicity, cleanliness and purity. The human eye views white as a brilliant colour, so it immediately catches the eye in signage. White is often used with infant and health-related products. Check out the most used colours of the biggest brands on the interent.